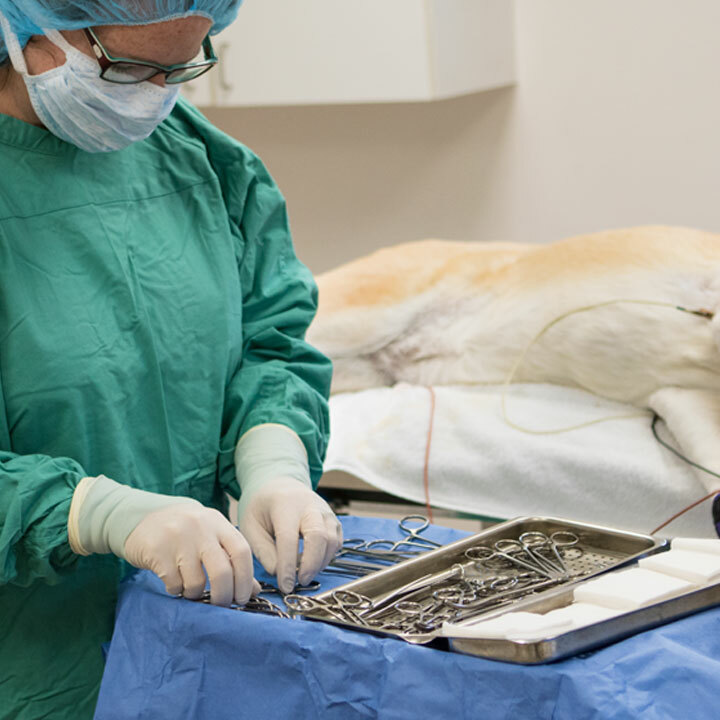 As a full service veterinary hospital, we are able to attend to the majority of your pet’s surgical needs. We are available Monday through Friday to perform routine spays and neuters as well as other soft-tissue surgeries including but not limited to gastrotomies, enterotomies, cystotomies, mass/cyst removals, and splenectomies. Our surgical patients are carefully monitored under anesthesia by our trained technicians using a comprehensive surgical monitor which measures blood pressure, heart rate, EKG, pulse oximetry, and carbon dioxide levels. We recently upgraded our patient warming unit to a Bair Hugger™ unit. This unit uses a convective warm air blanket that goes over the patient to keep them nice and toasty during their procedure. We have also partnered with Antech Diagnostics, a veterinary diagnostic laboratory, to provide our patients with comprehensive pre-anesthetic blood testing to be sure our surgical patients are in excellent health prior to their procedures. 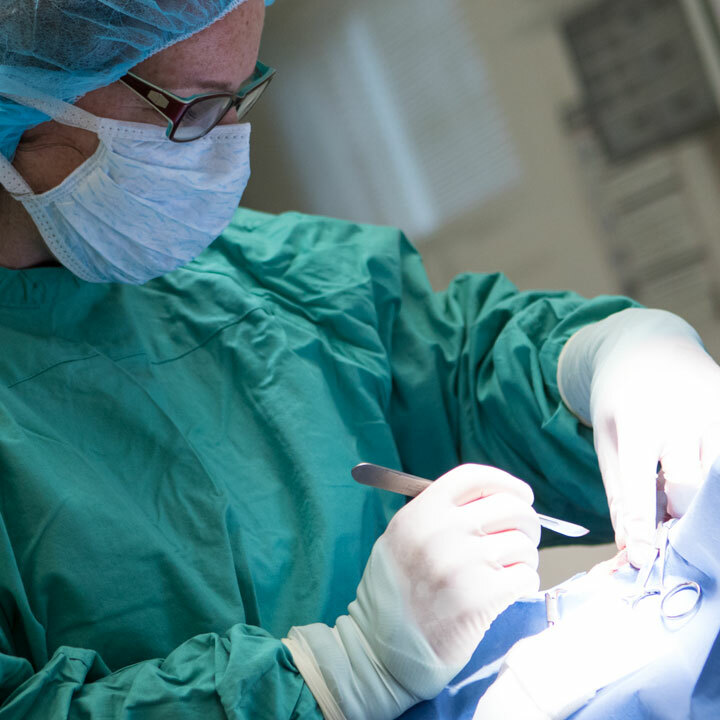 If your pet requires a surgery that is beyond our expertise, then there are several options for you and your pet. We work very closely with Steven Heyman, VMD, DACVS. 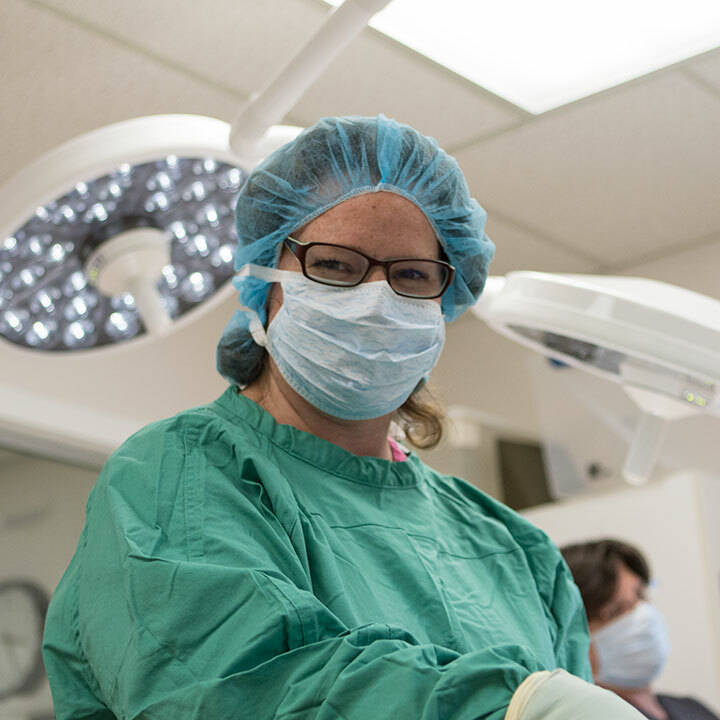 Dr. Heyman is a board certified veterinary surgeon and owner of Surgical Care Specialists. Dr. Heyman comes to our hospital to perform the surgery on your pet and all post-operative care is provided by Milford Animal Hospital. Alternatively, we also refer patients to Matt Palmisano, DVM, DACVS at the Veterinary Referral and Emergency Center in Norwalk and Dawn Nolte, DVM, DACVS and Anthony Aquaviva, VMD, DACVS at Shoreline Veterinary Referral and Emergency Center in Shelton. All are board certified surgeons with excellent surgical skills and work at facilities that provide 24 hour care. We have a flexible endoscope that can be used to retrieve swallowed objects from the stomach and obtain gastric, intestinal, and colonic biopsies. These procedures are performed under general anesthesia but are generally less invasive than traditional surgery and allow the patient to leave the hospital the same day, usually immediately after the procedure.